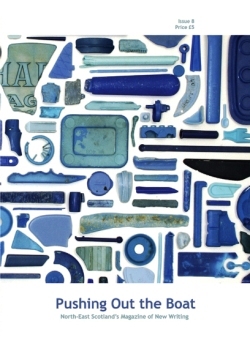 Pushing Out the Boat is the North-East of Scotland's prestigious magazine of new writing and the visual arts. A reviewer in Northwords Now wrote of last year's issue: "...it provides another quality collection of creative work sure to satisfy readers at home and abroad." At the launch, the contributing writers, artists and production team will meet to celebrate the new issue. Writers will read extracts from their work and the magazine will be available for sale. Members of the public are also welcome, entry by ticket (subject to space constraints): please apply to info@pushingouttheboat.co.uk. The doors will be closed at 2.30pm so as not to disturb the readings.